Many bloggers complain that their 125×125 pixels blog ads don’t bring as much revenue as they expect, the click-through rate is too low to even matter and the only thing they ever hear from their readers is how annoying those ads are. The reasons vary: the 125×125 format is not the best for all blogs, the space doesn’t allow complex designs and, unless the ad is an animated gif, there is not enough space to insert relevant information either. On top of that, the 125×125 ads tend to be repetitive. Text Link Ads has the same banner everywhere and so do many other similar companies, the designs are generally poor and the topics of the ads often don’t even come close to the topics covered by the bloggers. Advertisers and bloggers should understand that displaying a banner on a site will not bring revenue, unless the ad is topical, timely, edgy and fun. The ads send visitors away – true, when your site is so cluttered with ads that the readers can hardly see the content. Ad-cluttered blogs like John Cow, John Chow and many other “make money online” blogs are not rare, and sure, the ads work on such sites because the very purpose of the sites is to sell advertising space. Readers already know what to expect when they visit such sites. Unfortunately even niche specific, serious blogs appear to be cluttered nowadays: Techcrunch, Read Write Web, Search Engine Journal and so on. Despite the cons, blog ads still work for popular blogs – they will generate the necessary revenue (if affiliate ads) to justify their presence, and enough impressions for the advertisers. Although some users keep complaining about dealing with ads on various sites, the percentage is now too low to determine the web masters and the advertisers change their ways. Besides, for users who turn images off on their browsers and for users who use ad blockers when they browse the Web, the ads don’t even present a problem. Ads generate revenue – obviously this is why we see so many, almost on every site we visit each day. Aside the financial gain there is no other reason for you to place an ad on your blog, unless you owe someone a favor. Choose the ads that work best on your site (see below). As I mentioned above, the 125×125 pixel banners are probably not the best choice for all sites. They are somehow too obvious and the visitors tend to ignore them, especially when the products and services advertised are already presenting market saturation (Text Link Ads, Bidvertiser). Different ad formats might work better, and the only way to know what works best for you is to test different placements and different formats. There is no real standard to serve as guidance. There are however some trends (right menu bar double-column 125×125 pixel ads for example) followed by many. It’s up to you if you want to join the crowd or find better, innovative ways to display the money making ads. One last tip: Google has almost all ad formats in the book. So if you are afraid that Google might penalize you for selling ads, make an AdSense account. Google will not ban you out of the search results for selling their own ads. After all, Google wants to make money as much as you do. It’s good to see you posting here again. As usual, a helpful and to the point post. Will you follow up with a list of services and affiliates that are willing to buy ads that fit these criteria? Thank you Laura. Yes, this was my next intention. I will also disclose which of these services was the most profitable for me – in time I tested them all. You just answered one of my questions Mig, which services have proved profitable. Although I do not advertise currently I often think of a topic that I could blog about that would bring in some ad revenue. I have probably what are naive notions about the ads being relevant to the topic and of use to readers. Actually, Sue, if the ads are relevant to the topic it’s most likely that the readers are interested in what the advertisers have to offer. This is why PayPerPost type of paid entries still work. But without smart marketing strategies even such ads are doomed to fail. 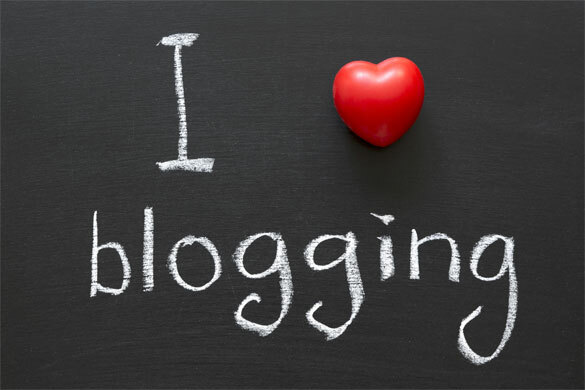 My next entry will be about popular blog ads services and which proved to work best- who knows, maybe this will help other bloggers choose the most profitable services for their blogs. Perhaps my favourite blog that incorporates 125 x 125 ads is I Love Typography. John (the author) keeps the ads relevant, and they all seem to be designed with his site in mind. I think that the best way to monetize a blog is with affiliate links, but if you must do adwords, having a horizontal ad at the bottom of the post is a great ending, and another one at the end of the comments for good measure helps also.